According to Wikipedia Safari is “a web browser developed by Apple Inc. included with the OS X and iOS operating systems. First released as a public beta on January 7, 2003, on the company’s OS X operating system, it became Apple’s default browser beginning with Mac OS X v10.3 “Panther”. The native browser of iOS is also called Safari, but has a different UI and uses a different WebKit version and API”. This chapter is dedicated to configuring Apple Safari version 9.x. 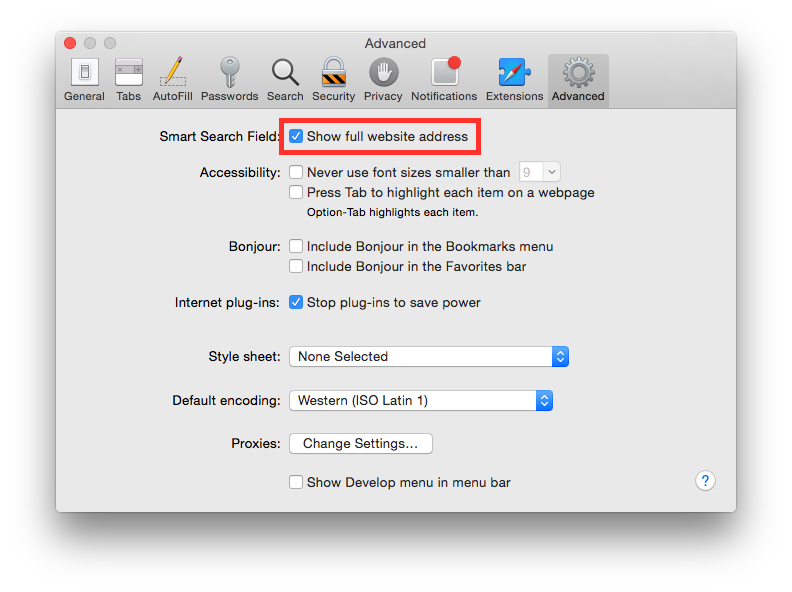 It comes by default with Mac OS X 10.11 (El Capitan). Set “Search engine” to “DuckDuckGo”. Set “Remove history items” to “After one day”. 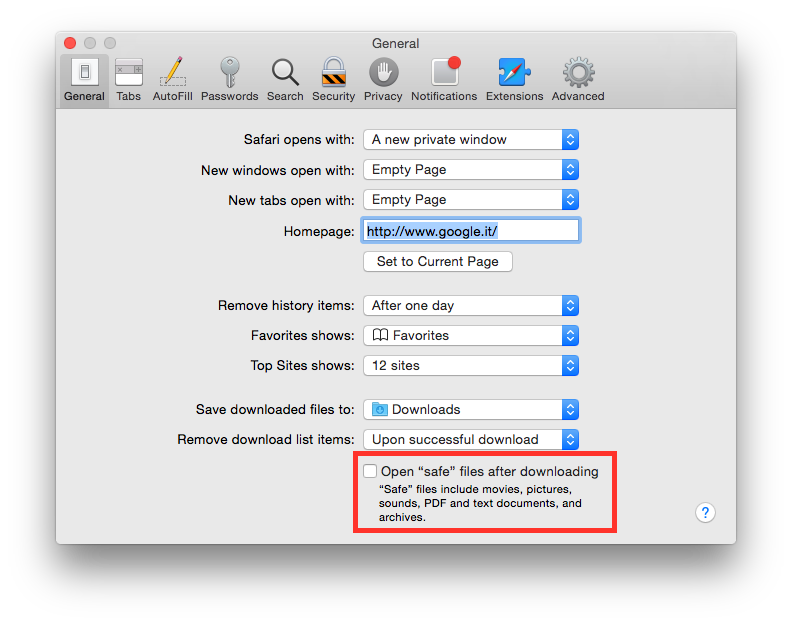 Set “Remove download list items” to “Upon successful download”. 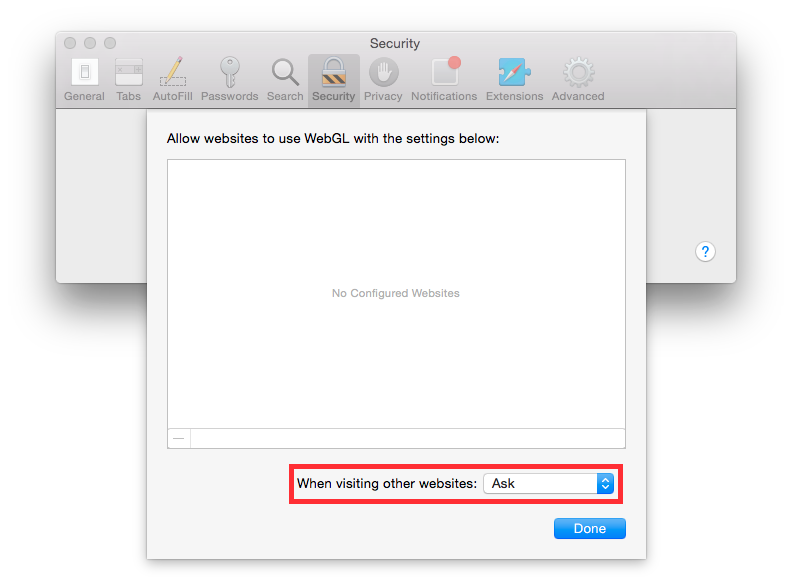 Check “Allow WebGL” and click on “Website Settings…”, set “When visiting other websites” to “Ask”. 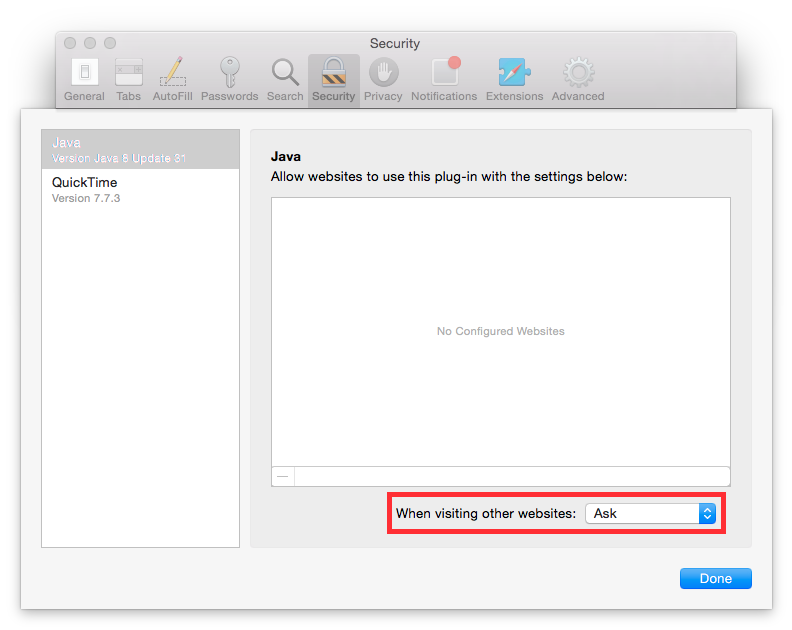 Check “Allow Plug-ins” and click on “Website Settings…”, set “When visiting other websites” to “Ask”. 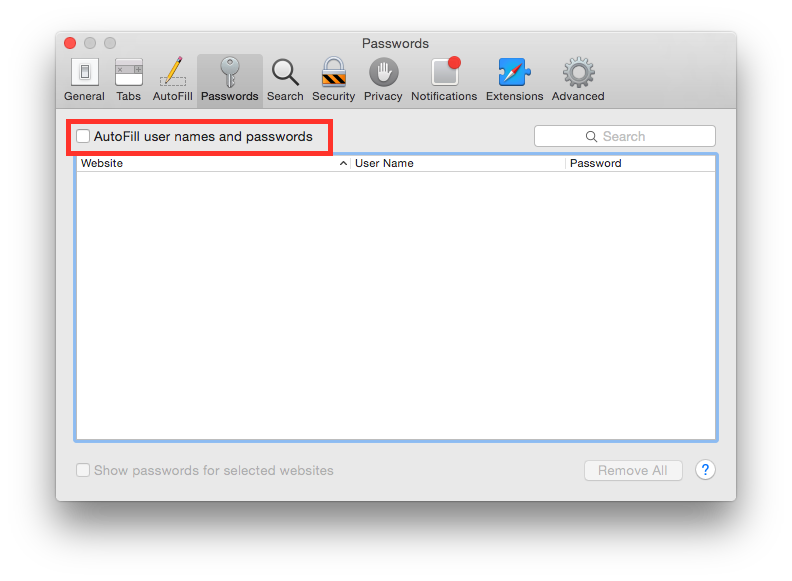 Uncheck “AutoFill user names and passwords”. Uncheck “Open ‘safe’ files after downloading”. Uncheck “Include search engine suggestions”. Uncheck “Include Spotlight suggestions”. 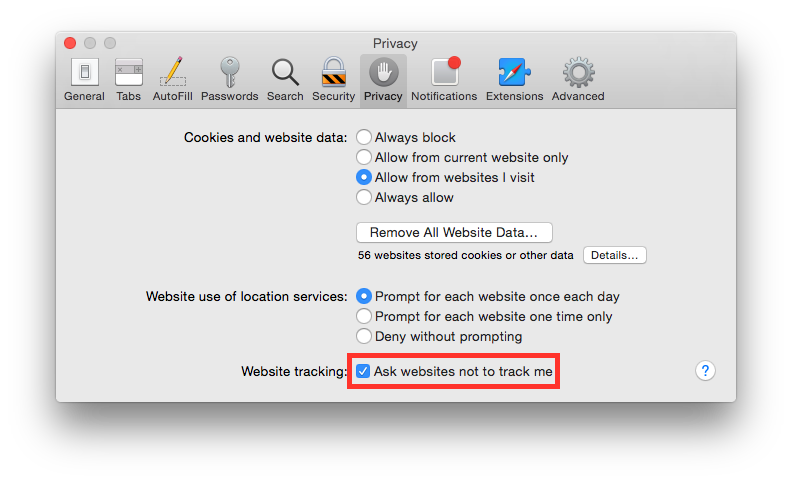 Check “Ask website not to track me”. Set “Safari opens with” to “A new private window”. Set “New windows open with” to “Empty Page”. Set “New tabs open with” to “Empty Page”. Check “Show full website address”. Check “Warn when visiting a fraudulent website”.